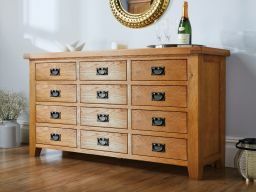 Made exclusively for Top Furniture from premium grade American oak sourced from sustainable forests. 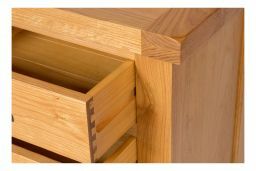 All drawers come with the strong and durable dovetail joints. 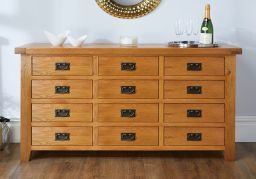 Finished with a hard wearing oiled wax to show of the charm and beauty of the oak timber. 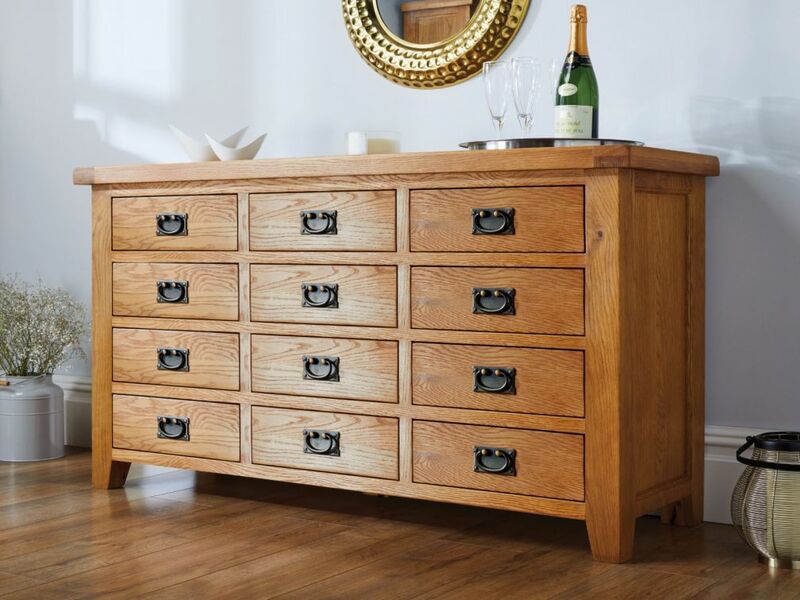 A very large oak chest of drawers with vast amounts of storage space. These stunning pieces make a great focal point in a bedroom / living room as well as being incredibly practical. Very helpful staff will buy again soon.. Absolutely love it. 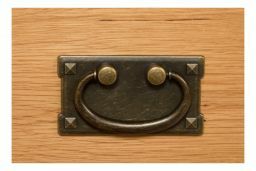 Exactly the same as described, the oak is warm coloured and the quality excellent. Thank you a great piece of furniture at a good price. Great product, impressed by how solidly built.